ROME, Italy, June 21, 2017 (LifeSiteNews) — Holy Communion cannot be given to Catholics who have left a “valid” marriage and have become civilly divorced and remarried to someone else until they have repented of and confessed “all grave sin,” said the Vatican’s doctrinal chief, Cardinal Gerhard Müller, in a new interview published today. “Contrition, confession, and reparation are the three necessary elements for absolution. These are the immediate conditions for the receiving the Holy Eucharist, Jesus Christ, who is the same divine person who forgives us,” he said in the interview with the National Catholic Register’s Ed Pentin. The Prefect of the Congregation for the Doctrine of the Faith, considered second only to the Pope as the Vatican's authority on doctrinal matters, said the bond of marriage was created by God to be unbreakable. "I have said it many times, and I repeat it here again. Matrimony is instituted by God the Creator and is elevated as a sacrament by Jesus Christ. …Jesus established clearly, and without doubt, the indissolubility of valid Matrimony,” he said. “This is what we must preach, declare, and explain to the Catholic faithful,” he added. 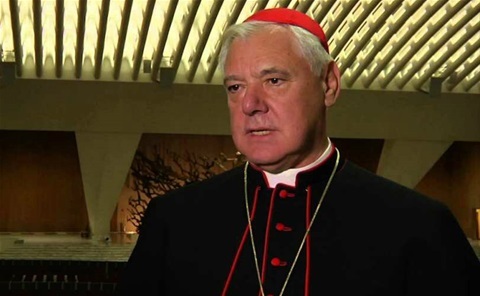 Cardinal Müller’s words come after an Argentinian bishop celebrated a special Mass in his diocese earlier this month for civilly-divorced-and-remarried couples living in adultery, where they were all invited to receive Holy Communion. The special Mass came nine months after the bishops of Buenos Aires released guidelines based on Pope Francis’ Exhortation Amoris Laetitia in which they said that in “complex circumstances” when remarried couples cannot “obtain a declaration of nullity,” priests can nevertheless move forward to grant them access to the sacraments, including Communion. Then, in a surprise move, Pope Francis wrote to the bishops, telling them that there is ‘no other interpretation’ of his Exhortation than what they put in their guidelines. “Contrition, confession, and reparation are the three necessary elements for absolution. These are the immediate conditions for receiving the Holy Eucharist, Jesus Christ, who is the same divine person who forgives us,” he stated. 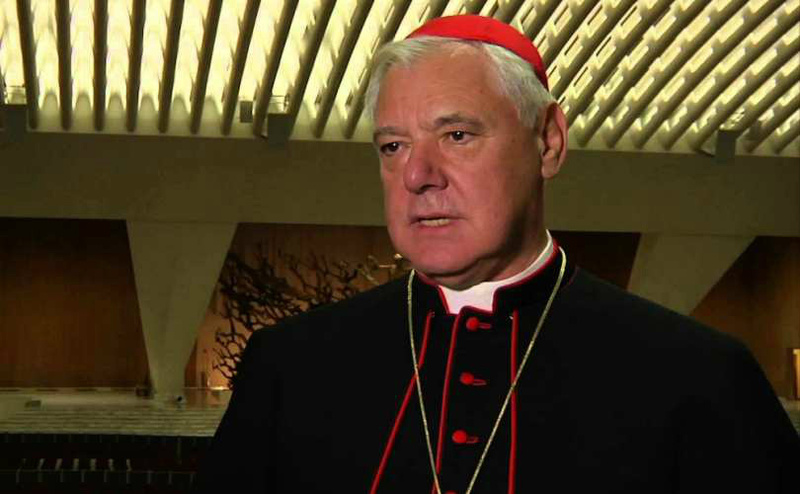 Despite Cardinal Müller’s numerous statements that Amoris Laetitia has not opened the door to giving Communion to adulterers (for example, here, here, and here), various cardinals, bishops, and bishops’ groups have directly disobeyed his directives. Bishops in Argentina, Malta, Germany, and Belgium have issued pastoral guidelines based on their reading of the Exhortation that allow Communion to be given to civilly-divorced-and-remarried Catholics living in adultery. This interpretation has also been pushed by high-ranking cardinals such as Francesco Coccopalmerio and Blase Cupich. But other bishops, such as those in Canada and Poland, have issued statements based on their reading of the Exhortation that follows Catholic teaching and forbids adulterous couples from receiving Communion.